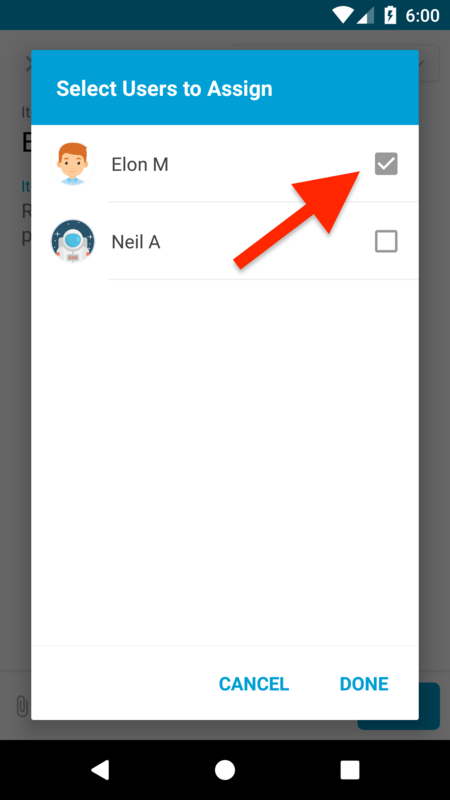 Tap on an existing conversation or Group Thread on the Homepage. 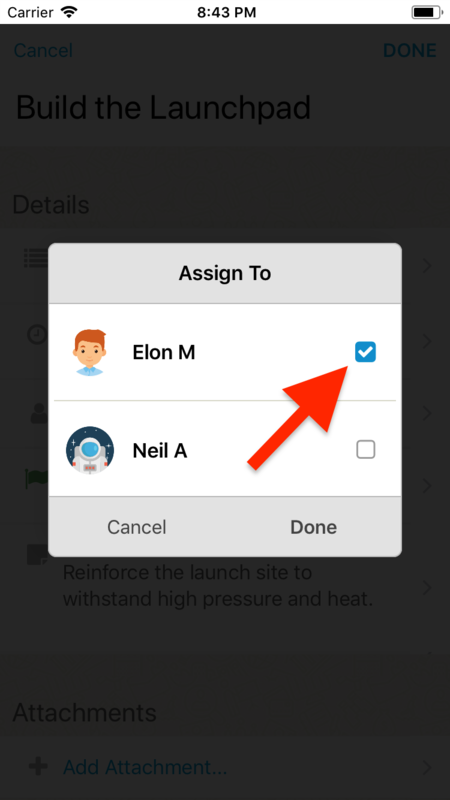 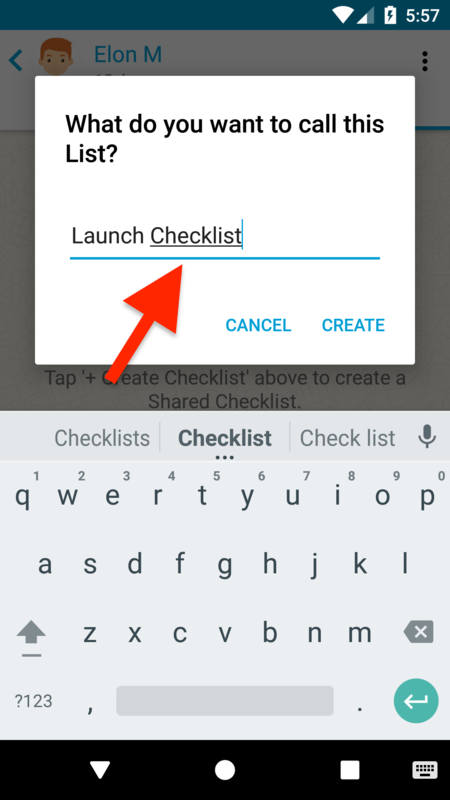 Tap on the Checklist button to go the Checklist tab (If you're not already there). 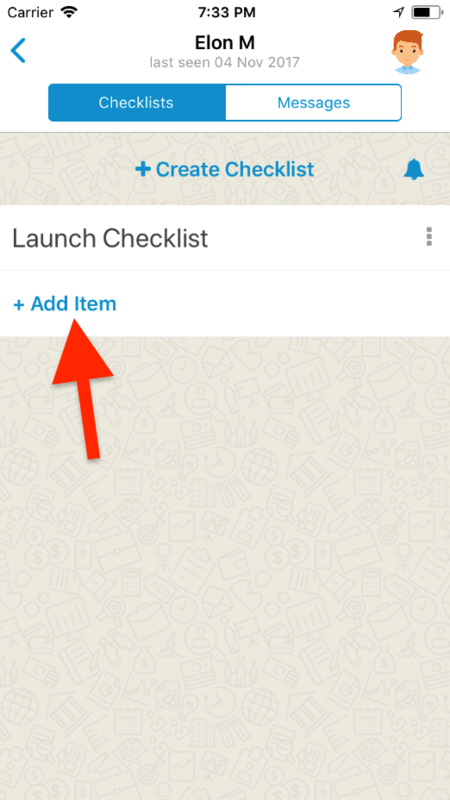 Please Note: You may repeat step 3 to create multiple Checklists - For Example - Things to Buy, Things to Sell and Things to Donate could be 3 different lists with its own set of separate items. 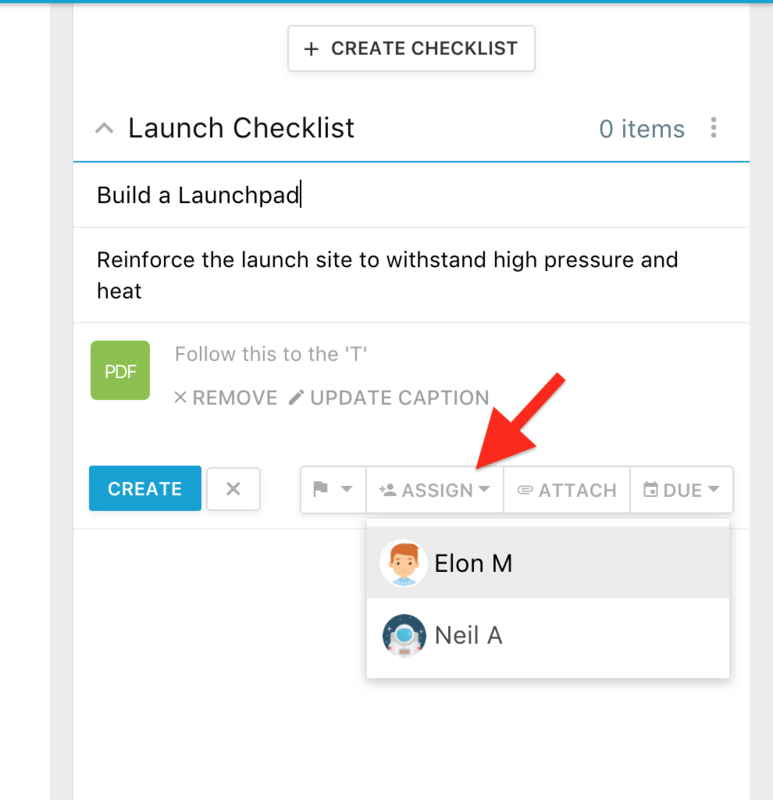 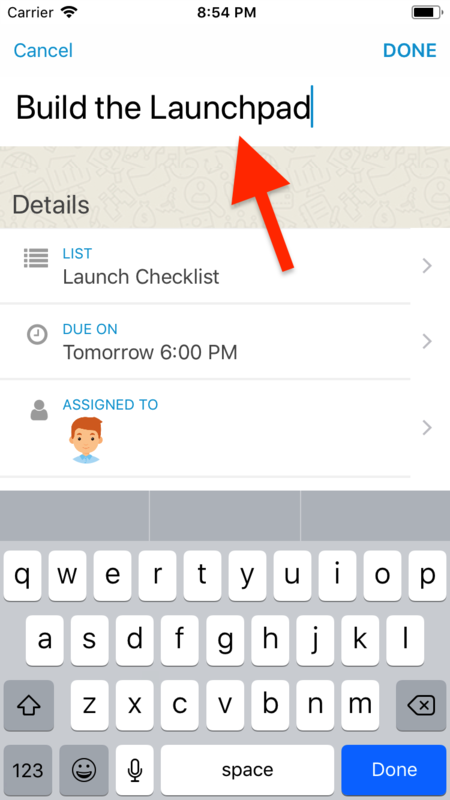 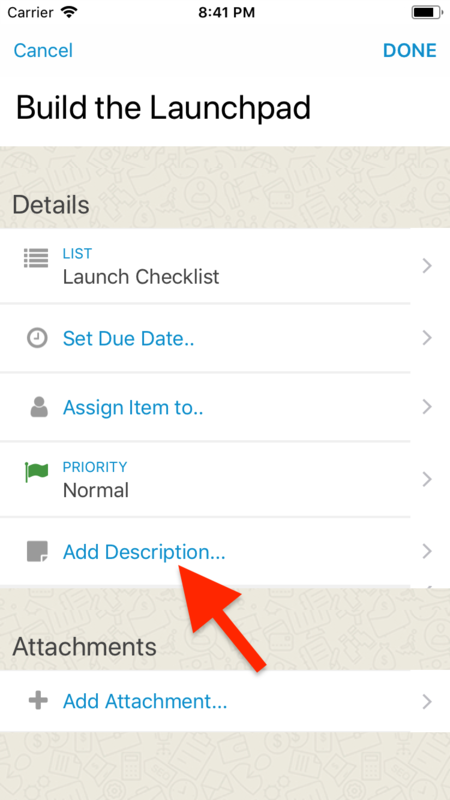 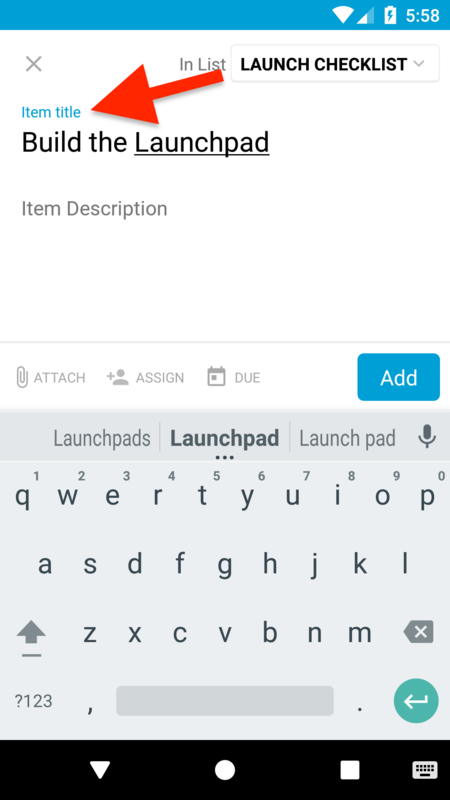 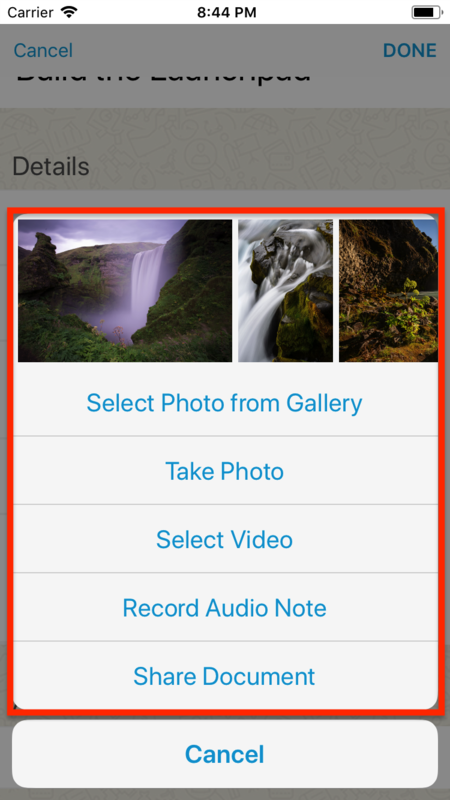 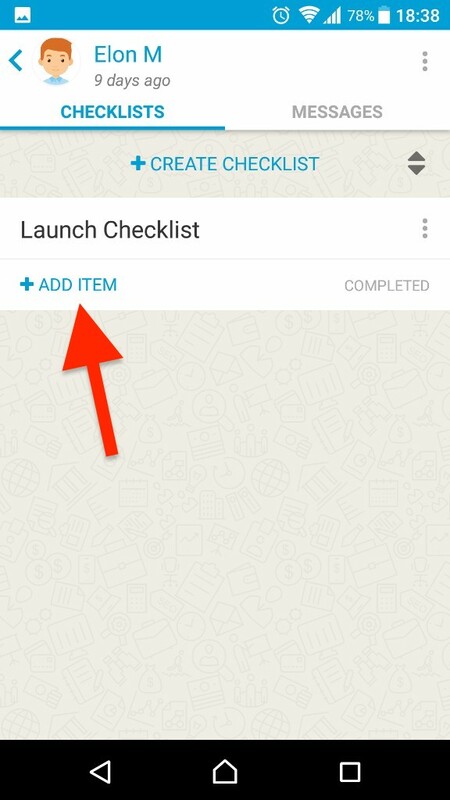 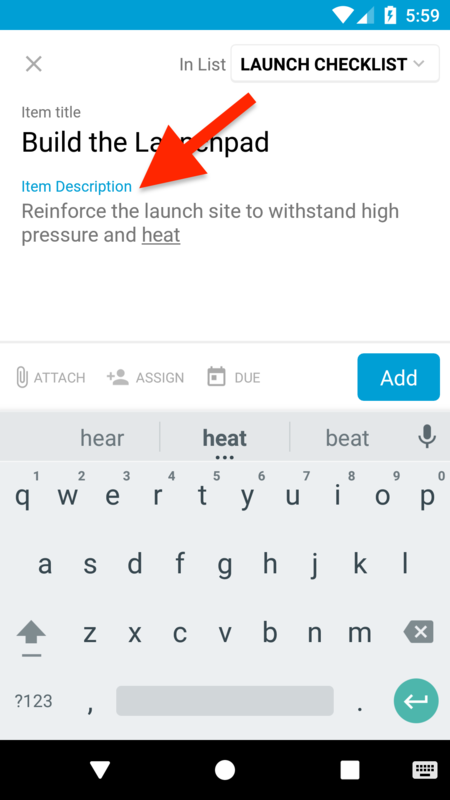 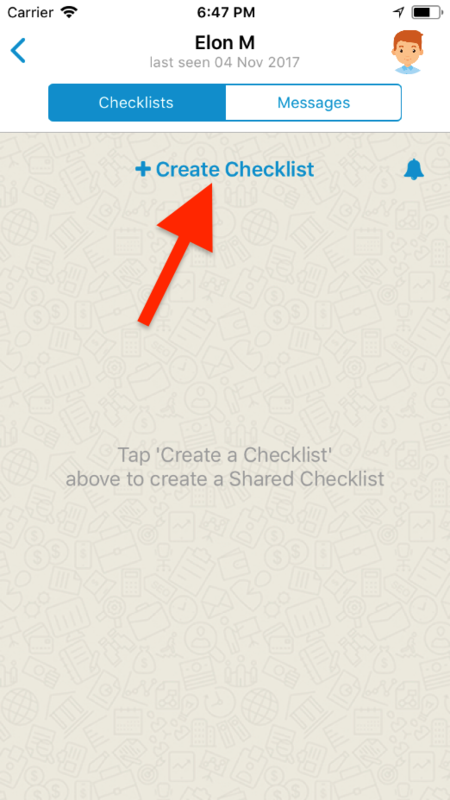 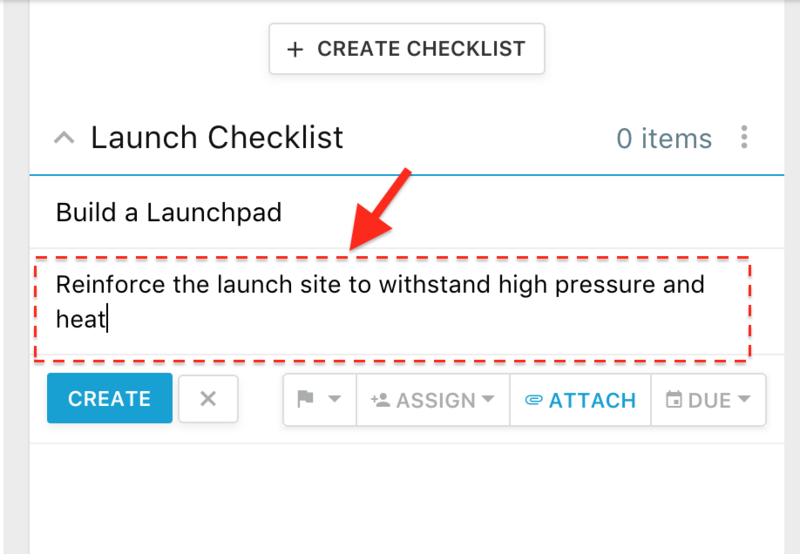 Tap on [+ADD ITEM] to start adding an item to your newly created checklist. 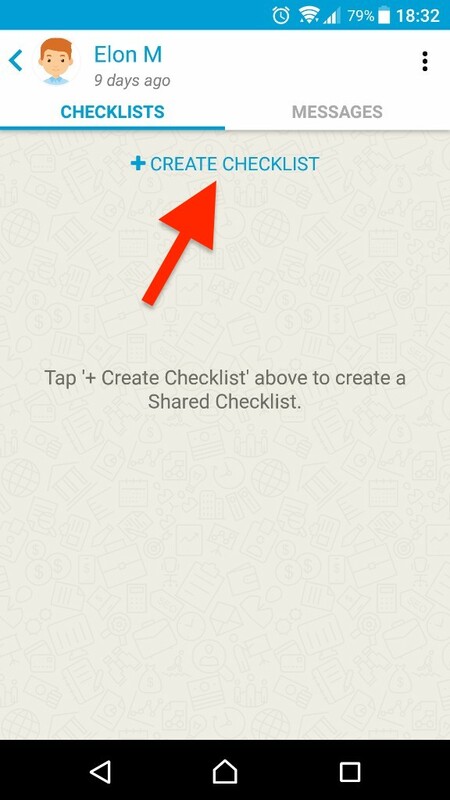 Tap on [Add] when done. 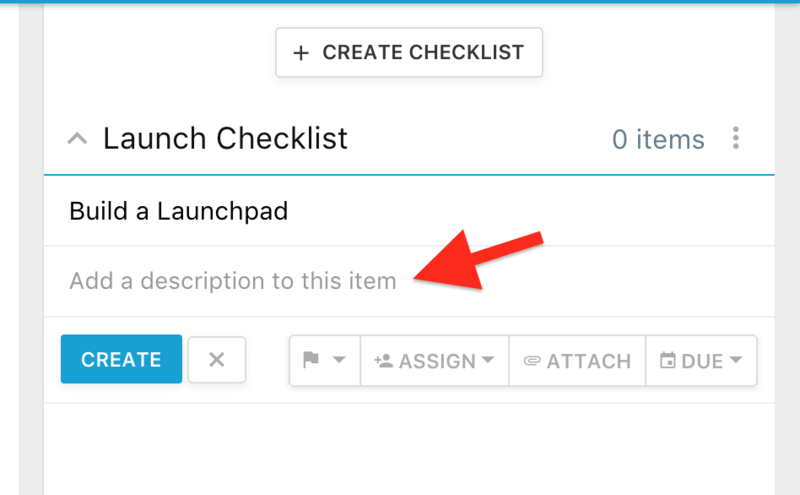 Hooray, your first Item has now been created successfully. 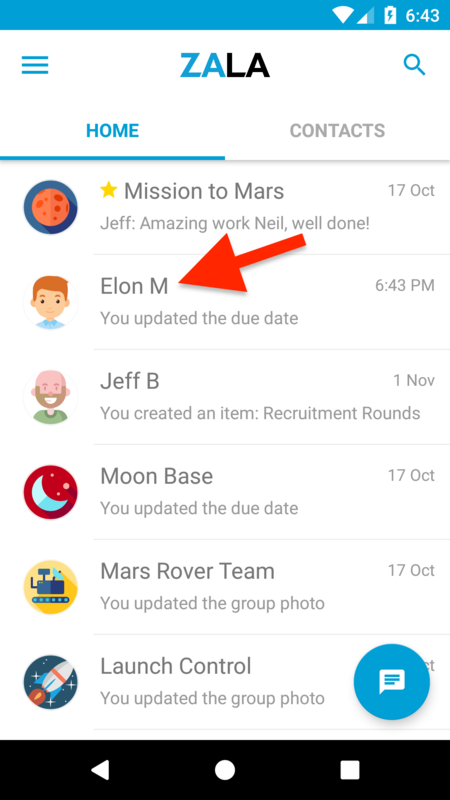 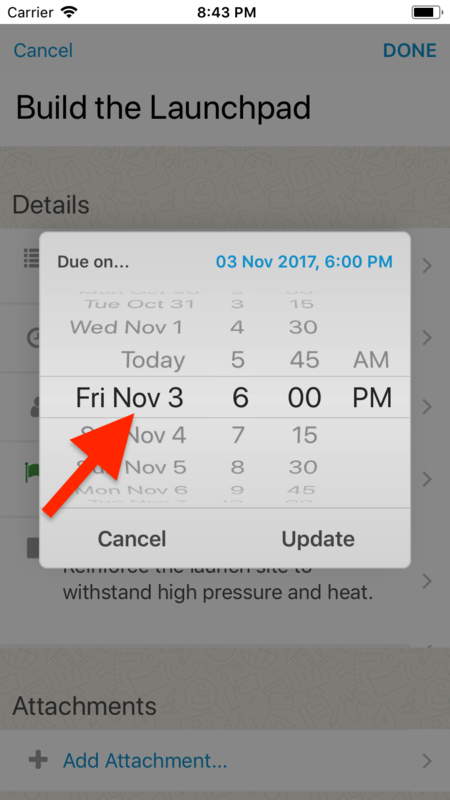 Tap on an existing conversation, Project or a Group Thread on the Homepage. 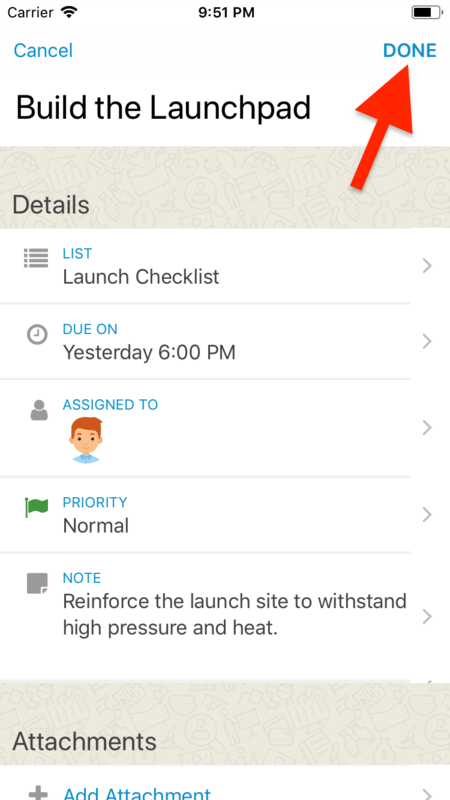 Tap on the Checklist button on the top left of the screen to go to the Checklist tab (in case you're not already there). 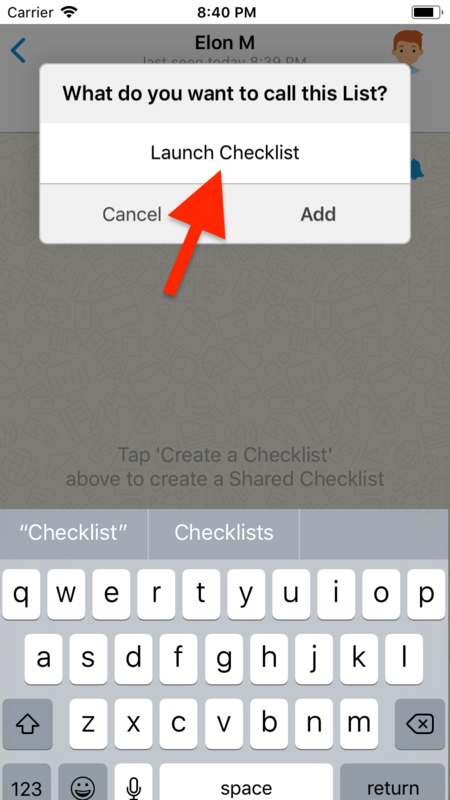 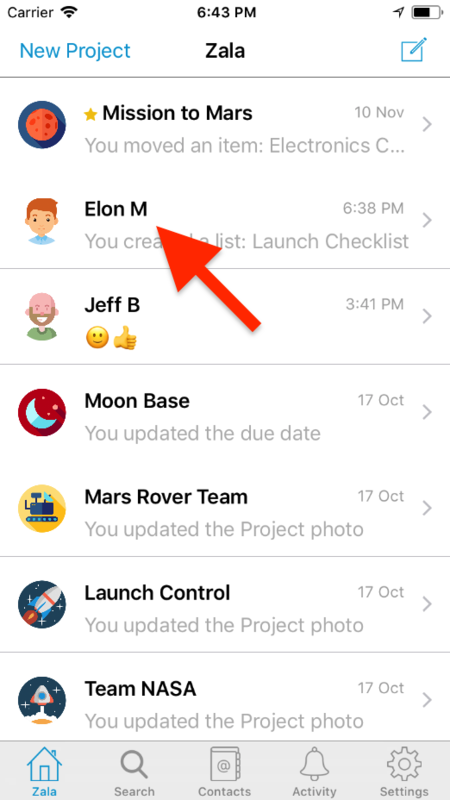 Tap on 'Create a Checklist' to begin. 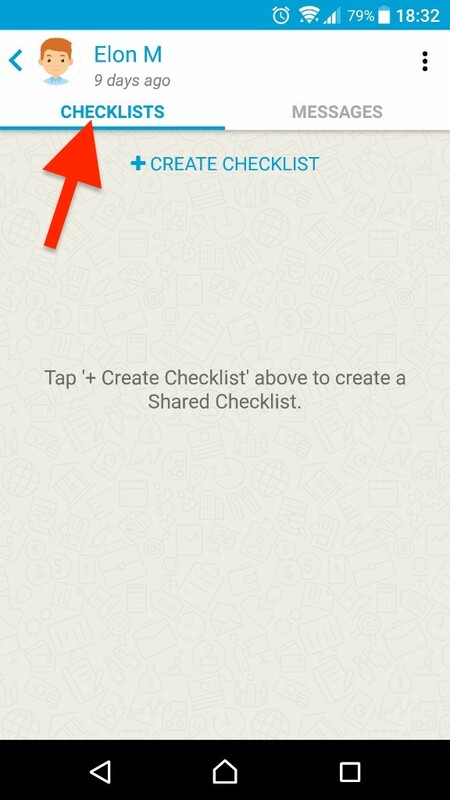 Tap on [Done] to add this item to the Checklist. 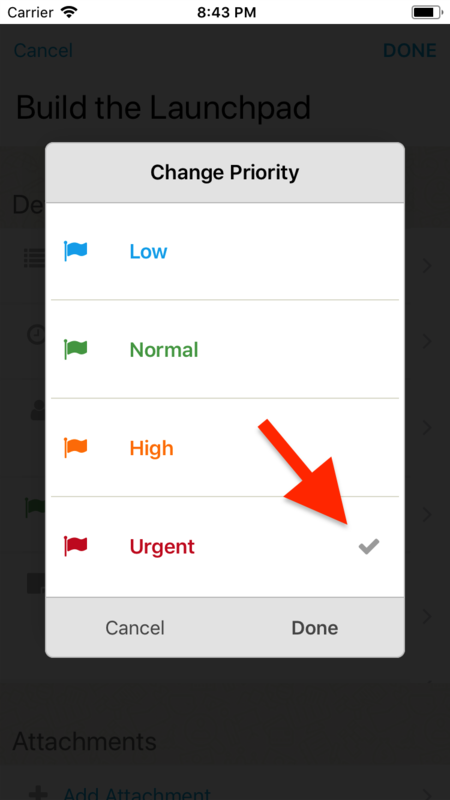 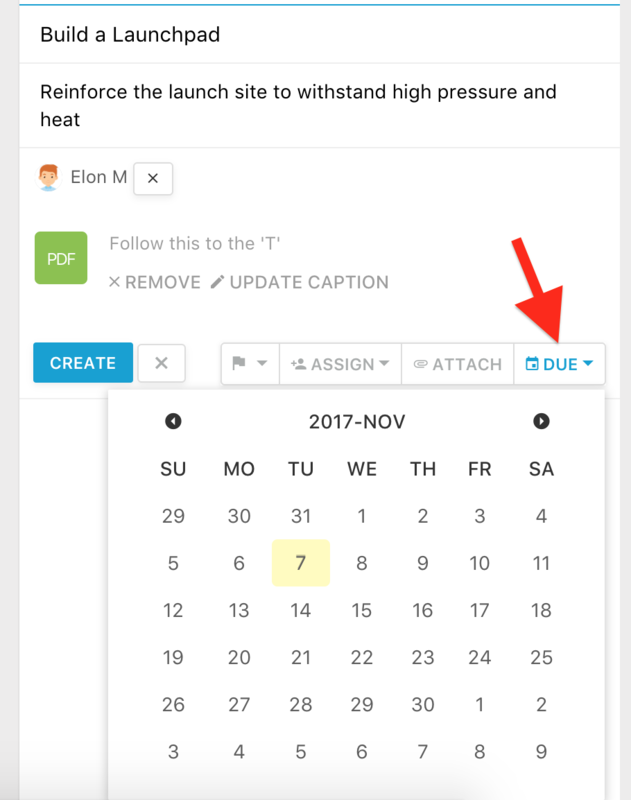 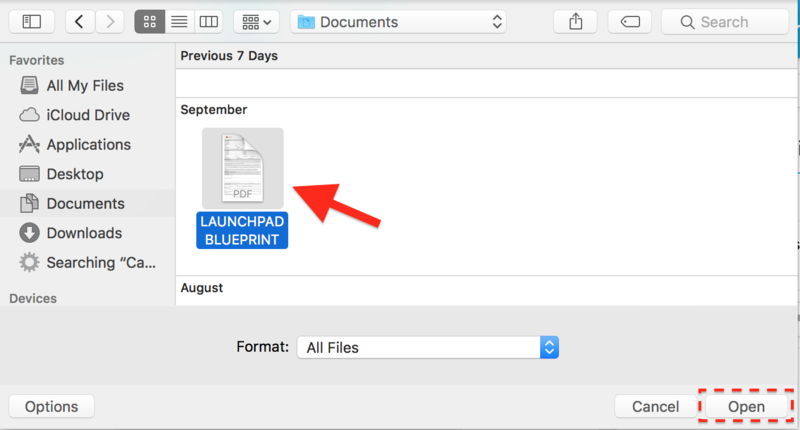 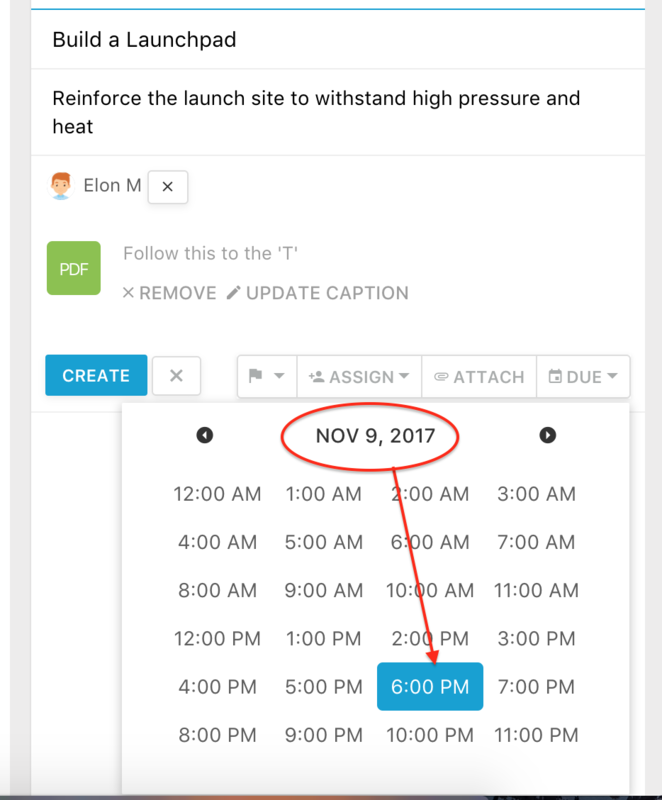 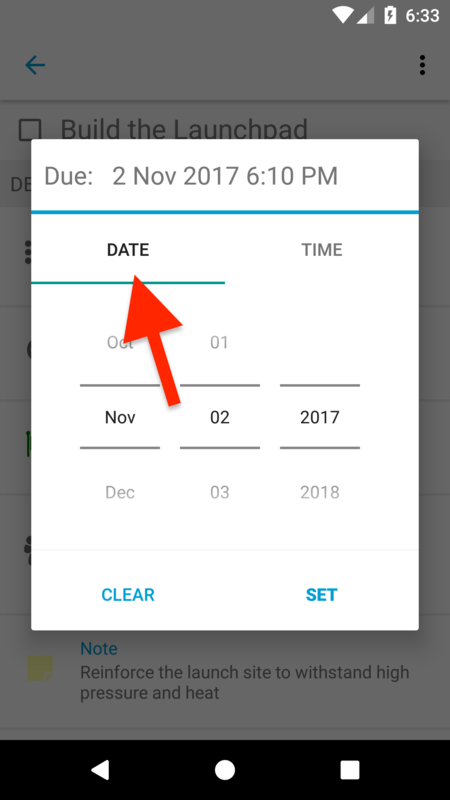 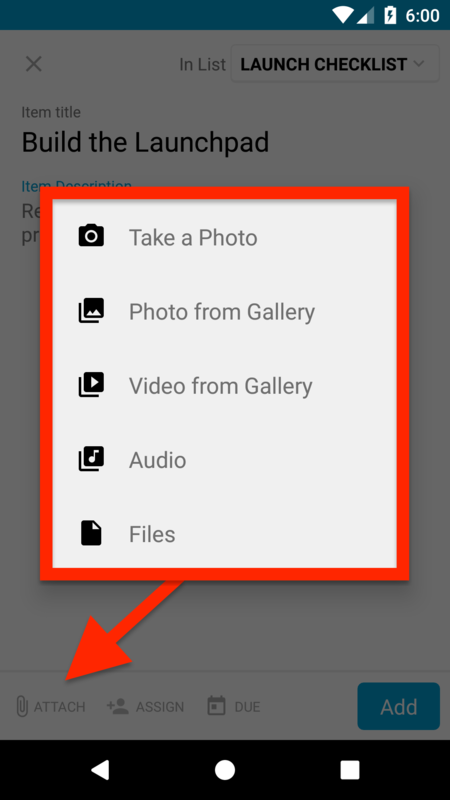 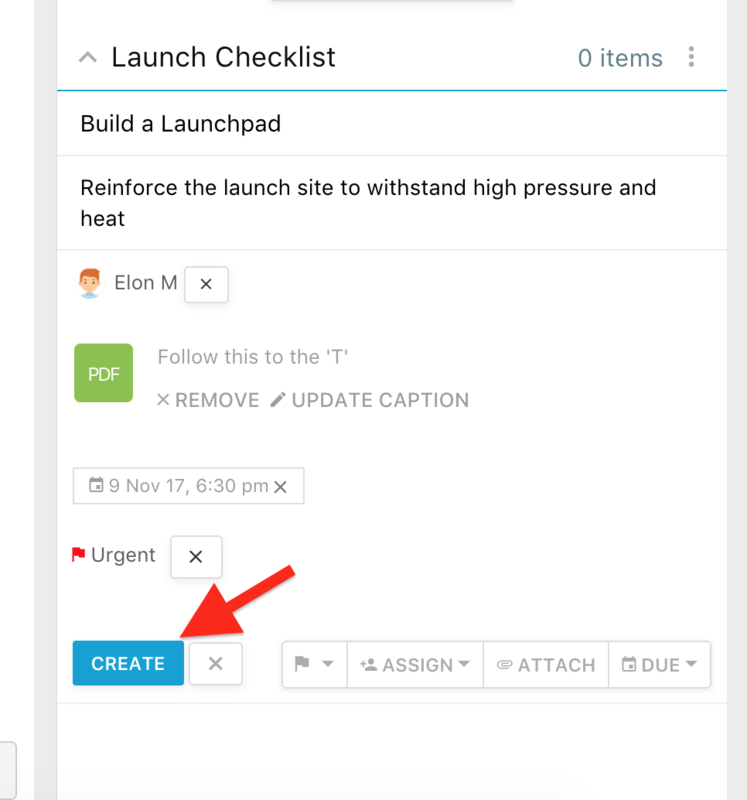 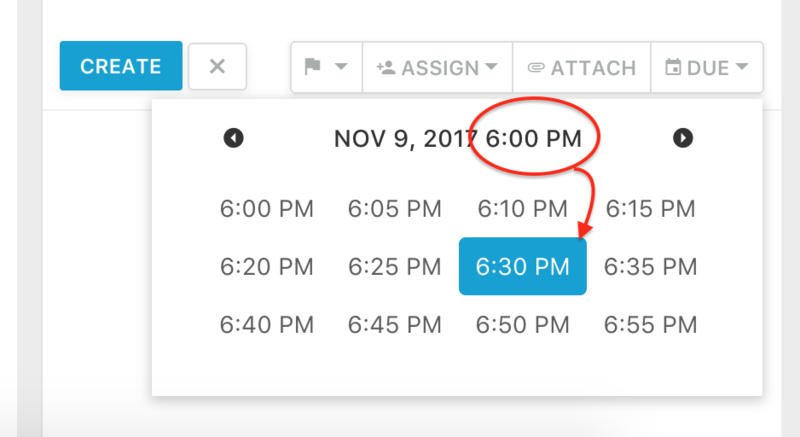 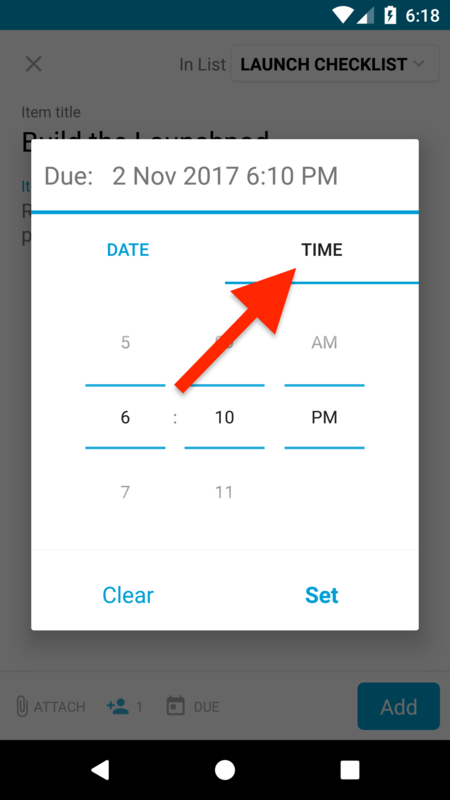 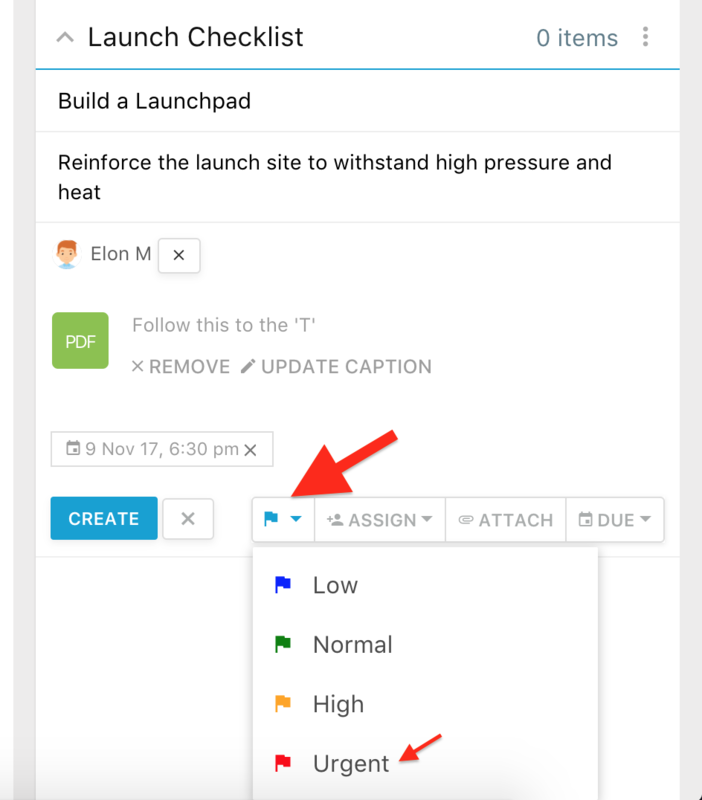 Click on the [+Create Checklist] button on the top right corner to begin. 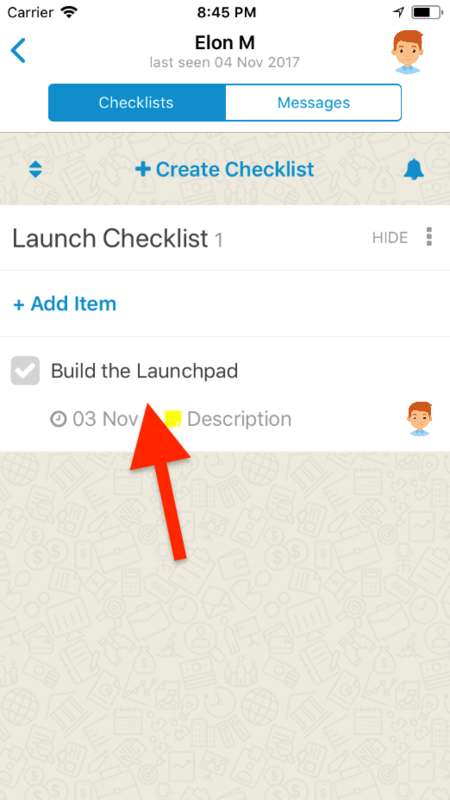 Start typing the name/title of the Checklist Item to start adding the first item to your newly created checklist. 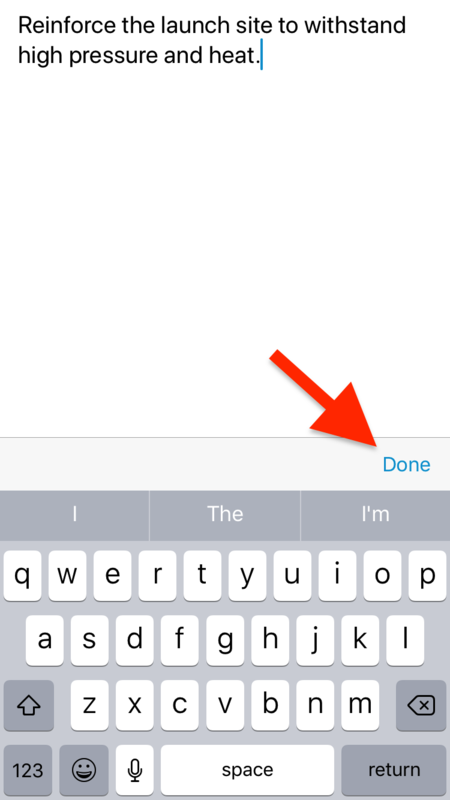 Provide a 'Caption' to the attached File (If required) to help provide context. 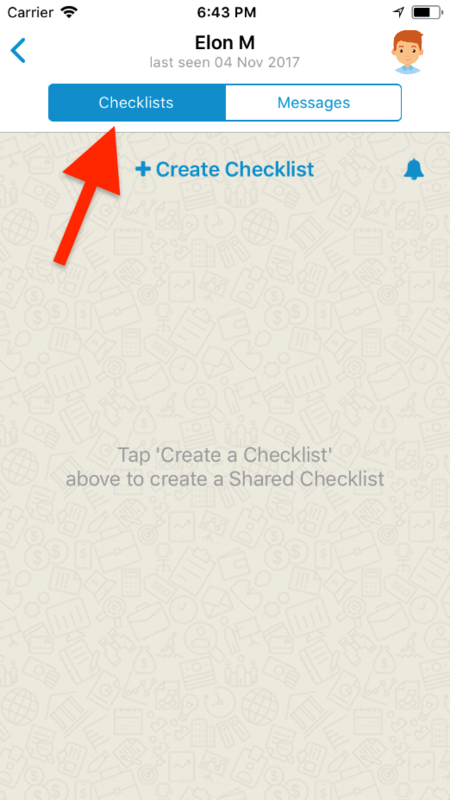 Tap on [CREATE] to add this item to the Checklist when done.